Typically, whoever smelt it dealt it. I beg to differ Max, I beg to differ. I might type up a letter tomorrow, just to remind myself what it's like to be at work. Or maybe I'll just let a bunch of cats chew my leg off. I'm pretty sure it's Thursday. My baby fusses every time his pacifier falls out of his mouth. I've asked him several times why he doesn't just keep it in then, but his answer didn't make much sense. Relaxing on the couch and listening to the peaceful snoring of my cat reminds me that I need to get the hell out of this house. Every time I woke up last night I hoped I was in labor. I wasn't. I didn't even need to go to the bathroom. 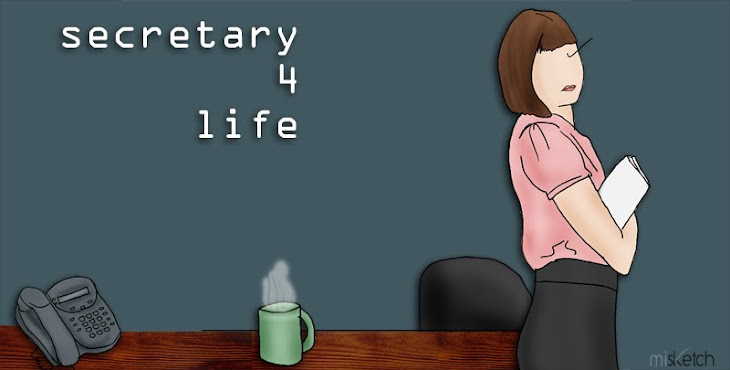 Secretary 4 Life is now sitting around the house waiting to become Mom 4 Life, which is actually about as mundane an existence as going to the office. Maybe even more so. I mean, I made a pot of coffee today but the little hole was clogged so I had to clean it out and make another one. Then do you know what happened? Nothing. The second pot came out fine. I drank it and it was good because it wasn't free disgusting office coffee and I didn't have to serve it to any ungrateful conference room dwellers, which left me with absolutely nothing to complain about. How boring is that? It's a sick world we live in.